The deadlock appeared to have been broken after Speaker Gloria Macapagal-Arroyo dispatched San Juan City Rep. Ronaldo Zamora last week to “negotiate” with the Senate to have the GAB enacted into law following warnings from President Duterte and his economic managers on the adverse effects of continuing to operate on the reenacted 2018 General Appropriations Act. MANILA, Philippines — The Senate and House of Representatives appeared to have ended their impasse over the proposed P3.7-trillion national budget for 2019 after the House agreed to recall its version of the General Appropriations Bill (GAB) that allegedly had illegal and unconstitutional amendments. Senate President Vicente Sotto III and Sen. Panfilo Lacson in separate interviews said Zamora relayed the message that the House leadership agreed to withdraw its version of the GAB and transmit the original version or the one ratified by Congress last Feb. 8. “We will wait for that action (withdrawing amended GAB sent to the Senate) and if it is submitted to us as ratified, I will immediately sign it and consider it an enrolled bill and send it to the President for signature,” Sotto said. The copies of the GAB have yet to be physically taken out of the Senate but Lacson said he has no reason to doubt Zamora’s statements. Zamora’s designation came after the meeting Duterte brokered for leaders of the two chambers in Malacañang last week to end the impasse and have the proposed budget passed. The deadlock came after the Senate refused to recognize the House version of the GAB as it had realignments and amendments amounting to over P95 billion after it was ratified by the two chambers. Sotto had repeatedly said he will not sign the GAB as amended and sent to the Senate last week. 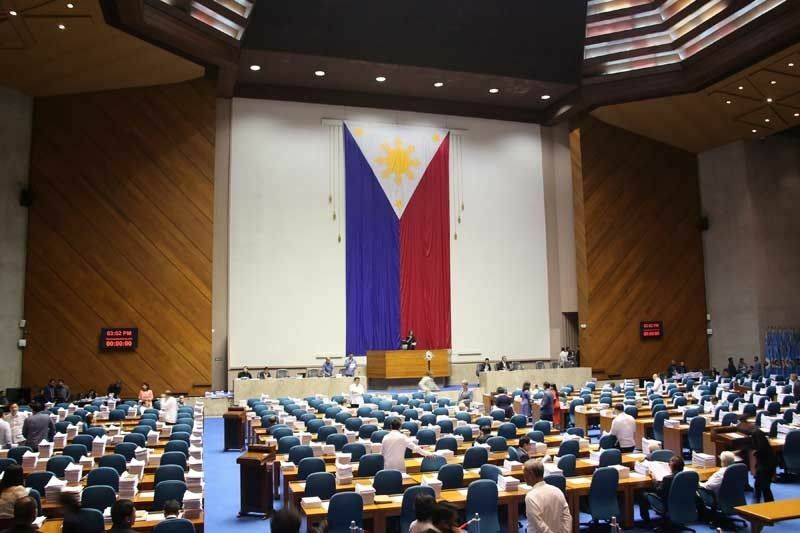 Camarines Sur Rep. Rolando Andaya Jr., however, insisted that the House only “itemized” the lump sums created during the bicameral conference committee on the GAB, adding that the Senate also did the same to the budget document after it was ratified. Lacson said he received a call from Zamora a few days ago and asked how the deadlock should be resolved. “I told him there’s no other way around it except for the House of Representatives to recall or withdraw your version of the enrolled bill. Effectively, that’s a mere scrap of paper because the Senate President has already stated many times (that he won’t sign it),” Lacson said. “I’m willing to close one eye to the reality that congressmen will not agree to having no pork. But not to a point that it’s too much to the disadvantage of their own colleagues – all 62 of them,” he said, referring to the congressmen who reportedly complained to senators about having allocations for projects in their districts cut. When asked about statements from Andaya that Zamora was not authorized to make such commitment, Lacson said that was an internal matter the House leadership must resolve. He said Zamora again called him up yesterday afternoon, reiterating the House’s decision to withdraw its version of the GAB. “I have no reason to doubt or question the truthfulness of (Zamora’s) proposition that he has been authorized by Speaker Arroyo to negotiate with us in breaking the budget impasse,” Lacson said. Sotto said what could happen is that after the House prints the GAB as ratified, it would be signed by Arroyo and sent to the Senate. He will sign the enrolled copy and transmit the money measure to Malacañang for Duterte’s signature. But Duterte is expected to veto the lump sums that the House had itemized. Andaya had cautioned the President during their meeting that signing the GAB with lump sums, which compromises about three percent of the budget, could be unconstitutional. Sotto said the vetoed lump sums could be the subject of a supplemental budget that will be passed by Congress when it resumes session on May 20 – or even as a special session to be called by the President – where the two chambers will itemize or detail the projects to be funded. He said as far as he is concerned, he can live with the old budget and let Duterte decide on where to put the unallocated funds. Malacañang yesterday welcomed reports that the House has agreed to withdraw its itemized version of the 2019 budget, saying it would allow the country to sustain its economic growth. “We welcome that they have finally settled their differences, so we hope that they would be submitting the enrolled bill and for the President to go over it and sign it if it conforms with the Constitution,” presidential spokesman Salvador Panelo said in a chance interview yesterday.